Lunch making has been an ongoing struggle for me since my kids started school. I look forward to our school’s ‘fun lunches’ like a kid looks forward to Christmas morning; they get a great lunch and I get a break! And I will do just about anything to get out of making lunches. But since that isn’t always possible, I’ve had to come up with a few recipes that are healthy, easy and that my kids will actually like. 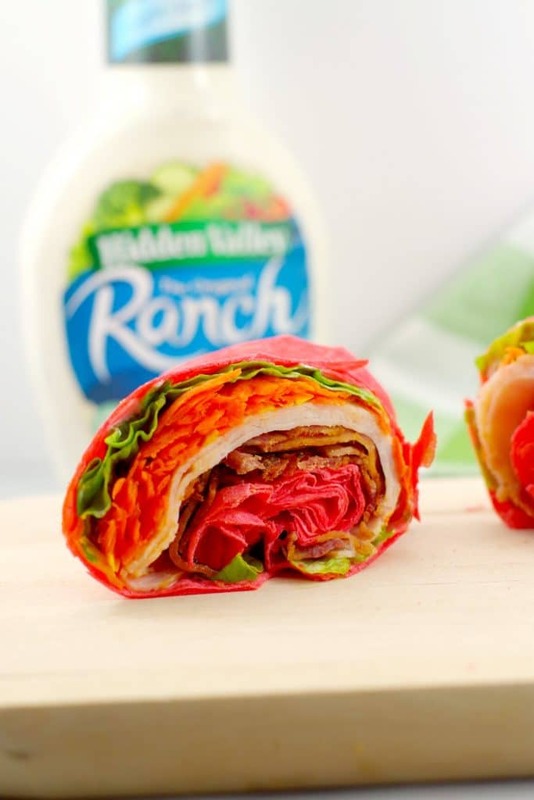 This Turkey Club Ranch Wrap is one of those recipes. It’s an easy lunch that will take you 5 minutes to throw together. It’s really nothing earth shattering or fancy, but it’s tasty! My kids aren’t crazy about cold sandwiches and I can’t blame them because neither am I. 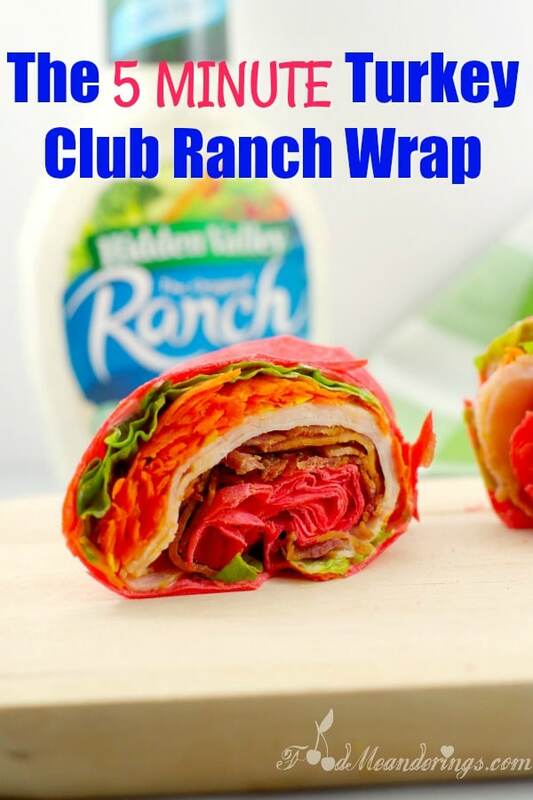 But wraps, now that’s a different story… They LOVE these Ranch Wraps! And I love this recipe because it’s one of those make ahead the night before OR wake up and need to make lunches in a hurry. It’s a perfect packed lunch idea for kids. I don’t know about you, but I often find myself not up for making lunch in the evening. Then I wake up in the morning and seriously regret that decision (while racing around, getting ready for work with very few minutes to spare). Fortunately, this tortilla wrap recipe is such a fast and easy lunch that you CAN make it in the morning. 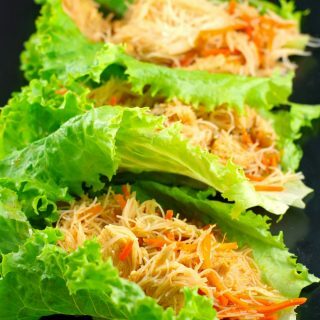 Another great thing about this wrap is that you can use either leftover turkey or deli meat. I know I’m always in need of leftover turkey recipes that are quick, easy and delicious. Best of all, this wrap is easily transportable. 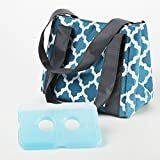 You can also take it on the go for lunch, a picnic or road trip! And if you’re wondering how to fold a wrap tortilla then watch this video: How to make tortilla wraps! 1) Use precooked bacon, if you aren’t already doing this. I buy the fully cooked Hormel brand from Costco. It takes 30 seconds to make and you can keep the package in the freezer and take out individual portions as needed. I know bacon is not the healthiest, but it’s soooo good and a little bacon never killed anyone. My kids are thrilled to get real bacon once in a while anyway. Plus, the other healthy stuff in this wrap totally compensates for it! But you could use turkey bacon instead, if you really wanted to. It’ll just take you longer to make, unless you have it prepared in advance. 2) Keep preshredded carrots on hand (you can buy them at most grocery stores- Calgary Co op for sure), if you are feeling extra lazy (like I often am) or know you’ll be making this wrap in the morning before school/work when you are already pressed for time. And if you love leftover turkey sandwiches, then give my, Leftover Turkey, Cranberry & Brie Panini a try as well! This Turkey Club Ranch Wrap will take you 5 minutes to throw together. Make it with leftover turkey or deli meat. Either way, this tortilla wrap recipe makes a great lunch box meal for kids and adults alike! Spread 1 1/2 tsp of ranch dressing over the center of each wrap. Add remaining ingredients, dividing between 4 wraps. 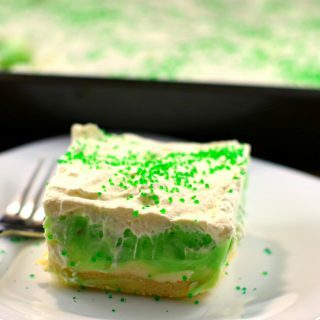 Previous Post: « 10 Baileys Irish Cream Dessert Recipes You Need in Your Life! You make me laugh Terri. A little bacon never killed anyone. 🙂 Well likely true. When I make turkey bacon I cook the whole package and the store it in the fridge.Never thought to use it in wraps. Another great idea. haha … yes, Sue we eat so much turkey bacon that we live for ‘real’ bacon around here! But the turkey bacon is also great in these wraps! Enjoy…. I’m not a cold sandwich person either, but these wraps might be just the thing for weekday lunches! I love the layering that you have done, beautiful photos! Hi Gabby – thanks! 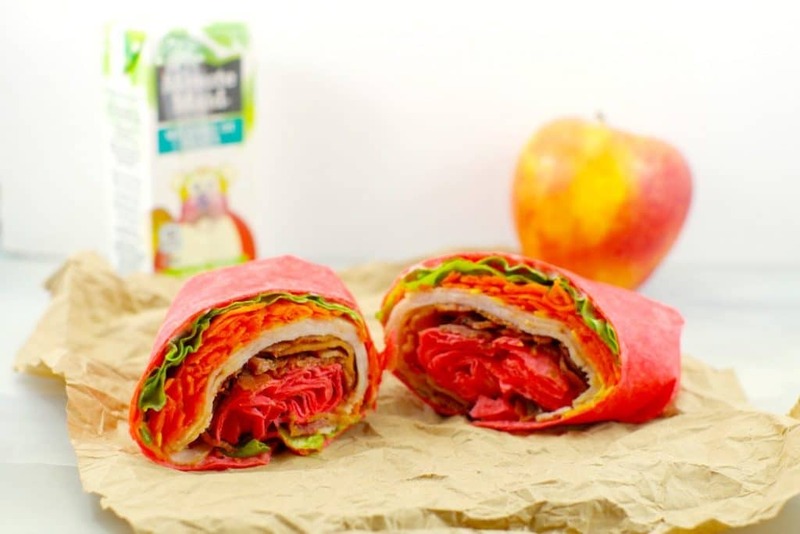 Yes, the colourful wraps can always cheer up an otherwise boring sandwich! 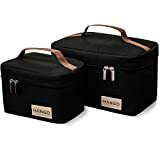 Great idea for a lunch on the go. Guess what my wife is getting for lunch tomorrow😃. I always pre cook our bacon so it can be easily be used in wraps,sandwiches and even pastas. Nothing like prepping ahead! Hi Markus: I agree – prepping ahead is the best :). I hope your wife likes them! 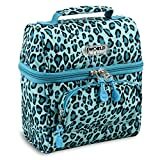 So nice that she has you making her lunches – lucky!